We have seen some amazing sites across the UK and Europe with Event Medical Cover and Repatriation services. However, this has to be one of the most amazing journeys we have had and probably best backdrop pictures yet. 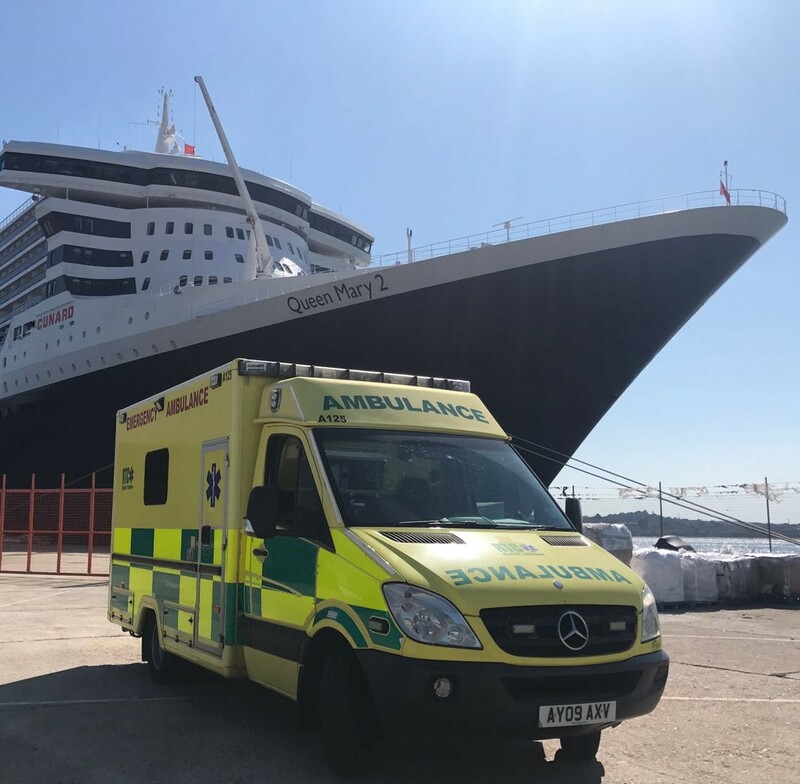 Although A125 is one of our bigger A&E ambulances, it was dwarfed by the amazing Queen Mary 2. Our aim is to provide an excellent level of care. We also aim to ensure that your time with us is as pleasant as possible. RTC Medical Solutions help hundreds of people every year get the care and transport they need to and from places of care. Contact us now for more information on the services we provide.